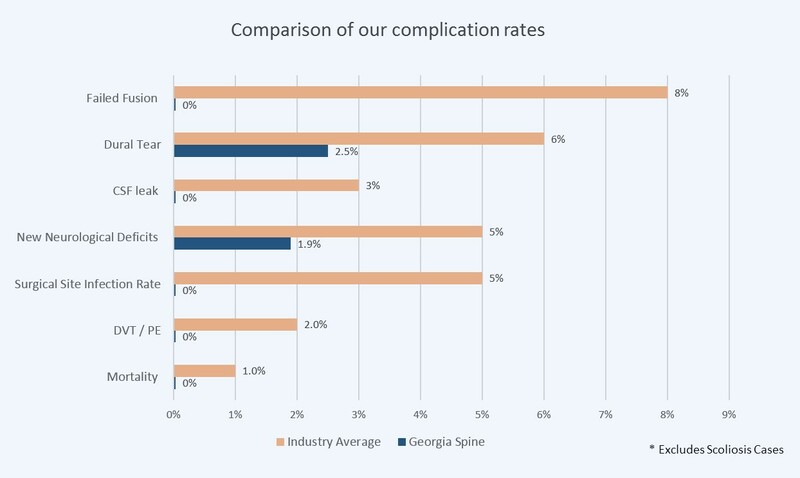 At Georgia Spine & Neurosurgery Center, we believe that surgery should be used only as a last resort, after all conservative treatments have failed. Exceptions include severe weakness or neurologic deficit (real or threatened). The decision to undergo spinal surgery should never be taken lightly. 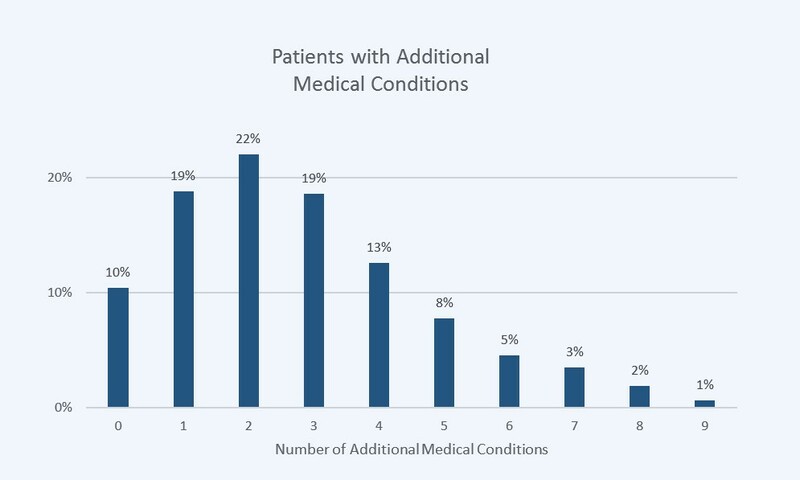 There are both short and long-term consequences that a patient needs to understand. 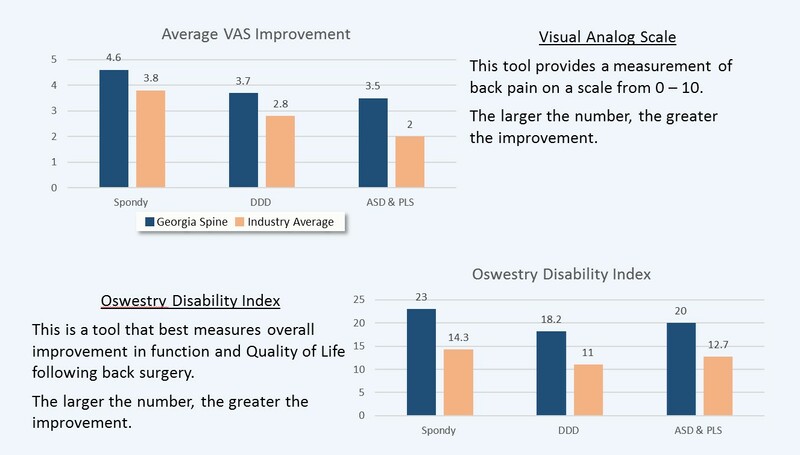 That is why we always emphasize to anyone who has been told they need spine surgery to get a second opinion. 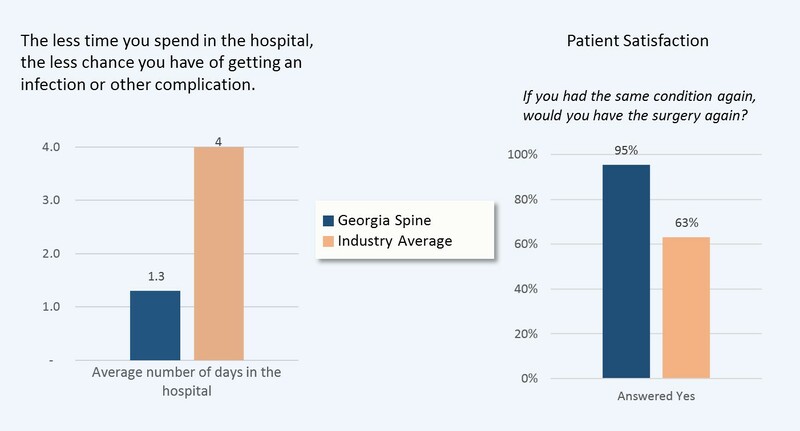 In general, the risks of performing surgery on patients that have had previous spine surgery are higher, and the surgery more complex than for those undergoing surgery for the first time. 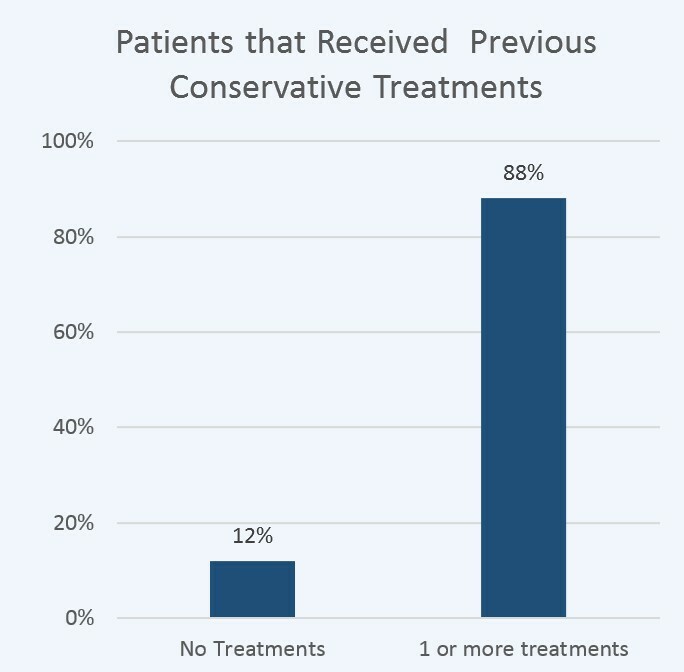 Almost 40% of our patients had previous surgeries. 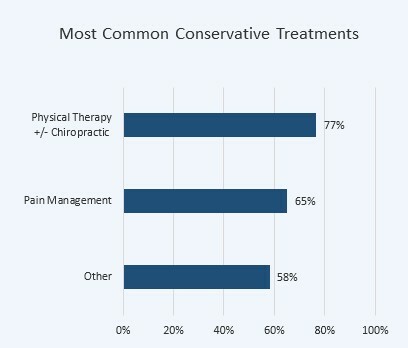 Additionally, spinal cord compression greatly increases the complexity of surgery. 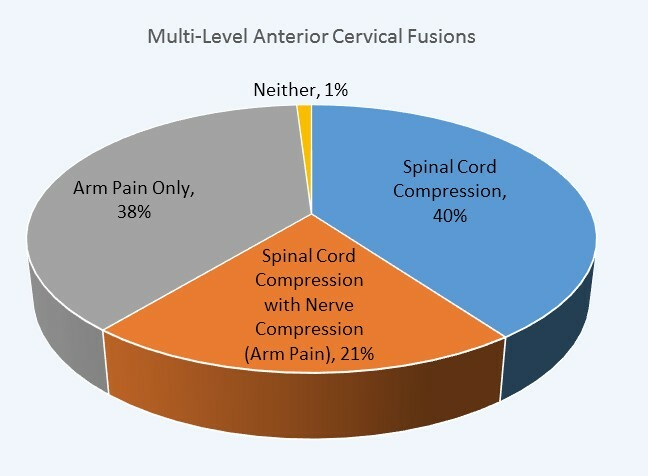 60% of our cervical fusion patients had spinal cord compression. Other medical conditions, like diabetes, emphysema, high blood pressure, heart disease, etc. 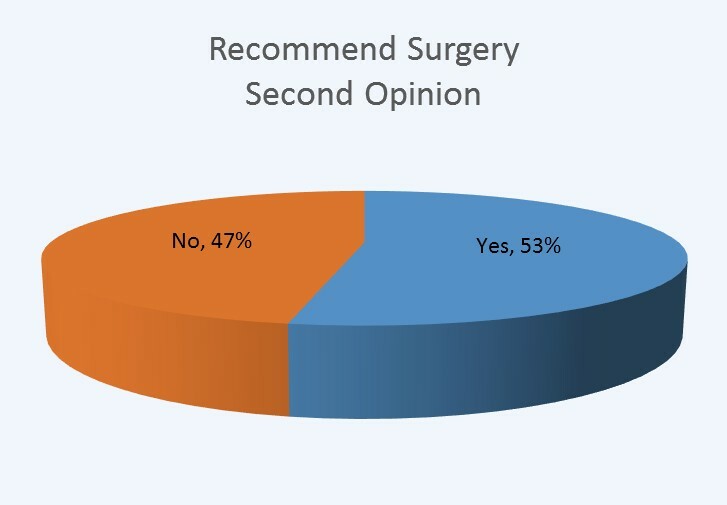 greatly influence the complexity of surgical procedures. 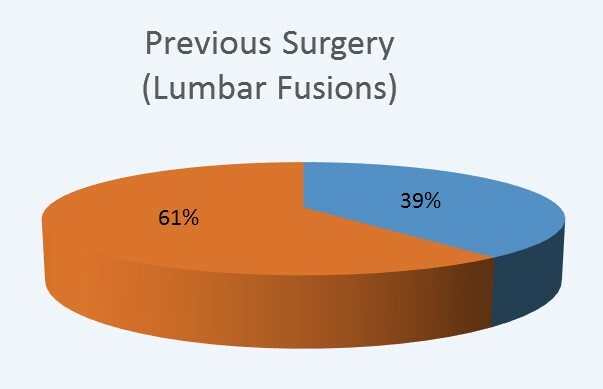 MIS is generally less painful, results in better outcomes and far fewer complications compared to traditional open surgery.